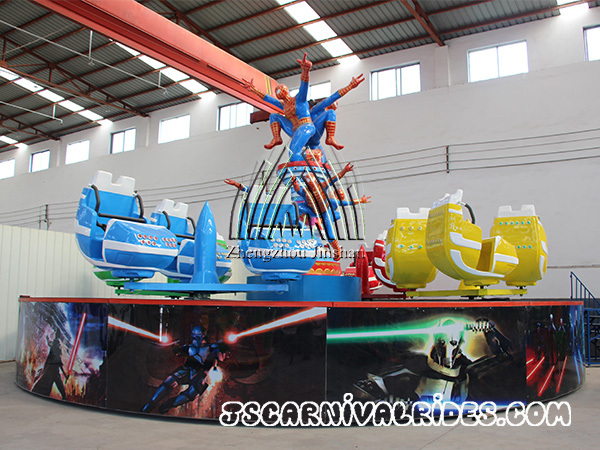 Helicopter Tanks War Rides is a new R & D equipment developed by Jinshan Amusement Equipment. The cockpit shape is a helicopter model, surrounded by a circle of tanks. 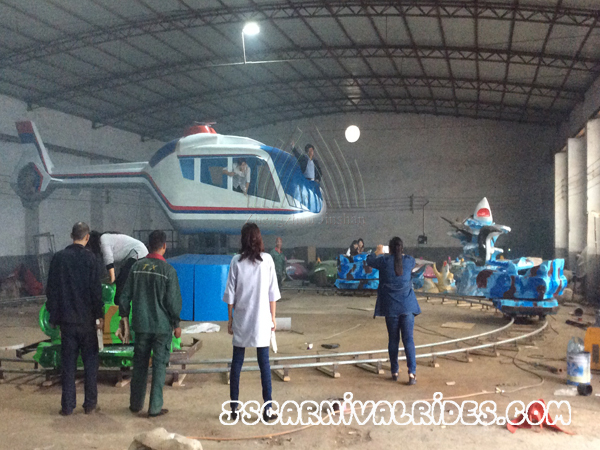 When the equipment starts running, you can hear the buzzing sound of helicopter takeoff. 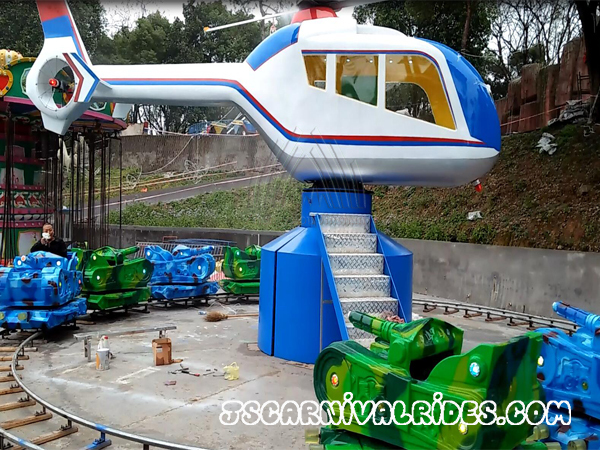 The helicopter will rotate 360 degrees and fume when shot by the tanks, and the tanks will speak, fume, bubble and spinning when shot by the helicopter. 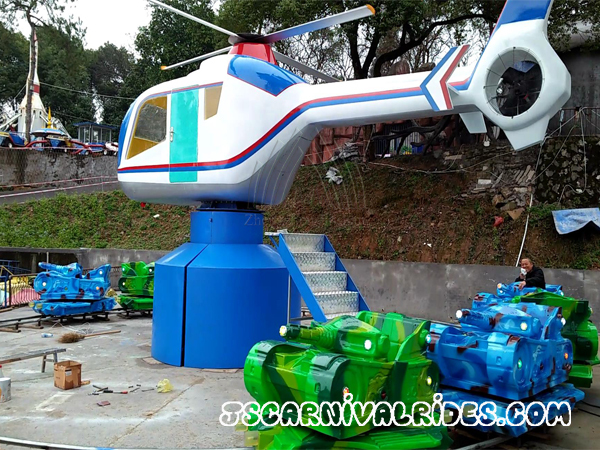 Helicopter Tanks War Rides is a type of amusement equipment that is conducive to the development of children’s intelligence. 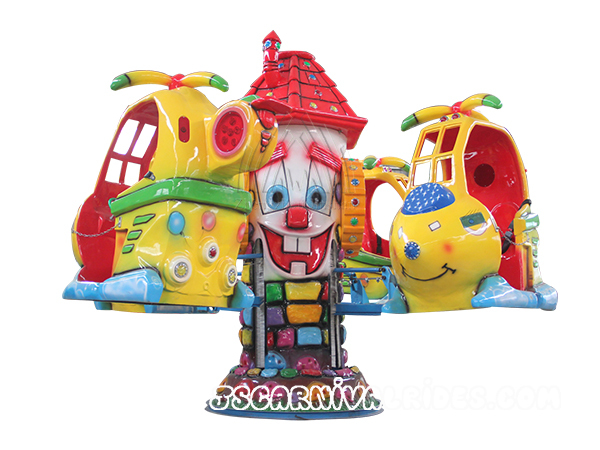 The cartoon style is very attractive to children. 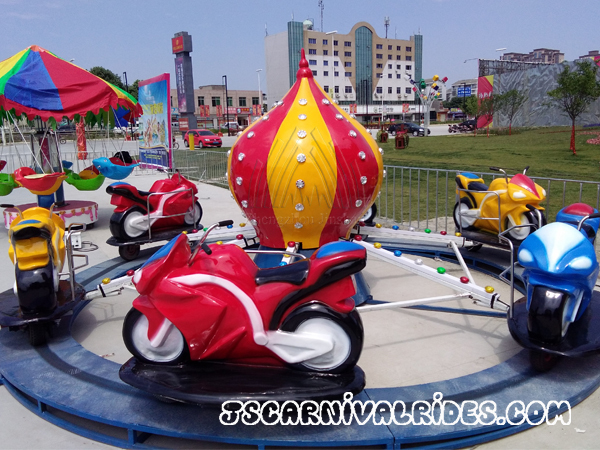 The creative games and combination of sound, gas, water and various color have fully met children’s entertainment demands and developed children’s brain, which are contribute to the healthy growth of children. 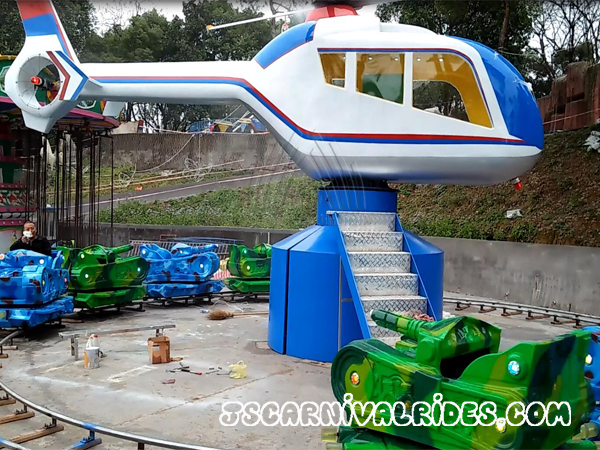 The Helicopter Tanks War Rides is very suitable for parks, playgrounds, scenic spots and other places.